Young striker Cameron Peters will be returning to the Saddlers this week as his three-month loan with Evo-Stik Southern League Division One Central side Bromsgrove Sporting has come to an end. 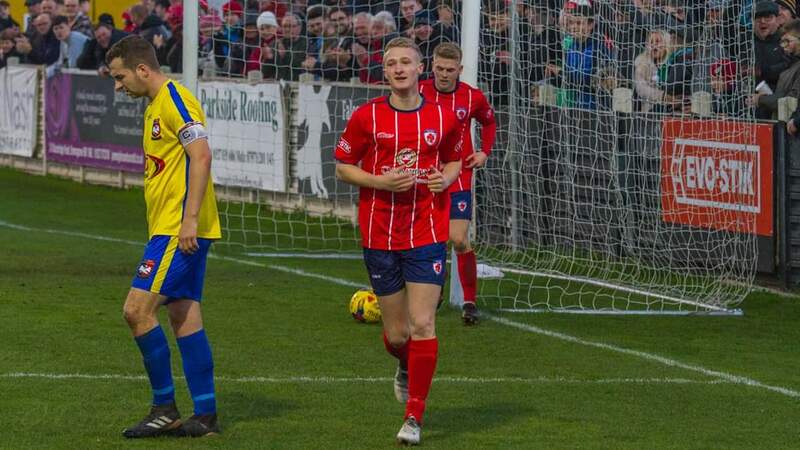 The striker rounded off his time at Sporting by coming off the bench during Saturday's league victory over Aylesbury FC, helping the side to a comfortable five-nil win. Cameron, who is a product of the club's Academy system, will likely rejoin John Ward's development side before possibly going back out on loan as he looks to continue his bid to force his way into contention in Dean Keates' first-team. Thanks Cam and best of luck for the future.